Jesus cannot be dismissed as one in a long line of religious gurus peddling peace, fulfillment, and a better version of yourself. 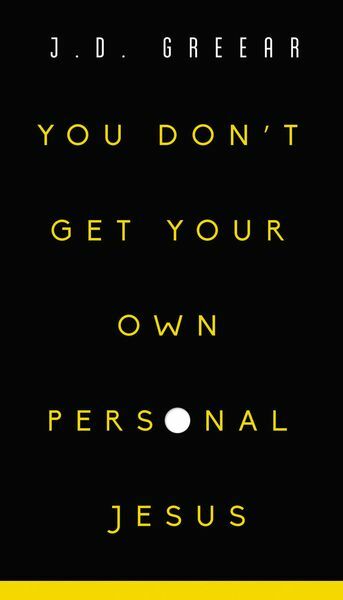 You Don’t Get Your Own Personal Jesus, excerpted from J.D. Greear’s book Not God Enough, captures the liberating truth that God is exactly who he says he is. You may prefer a God who is small, safe, and domesticated, a God who thinks like you think and likes what you like. You may prefer a God you can manage, predict, and control. But what if this small version of God is holding you back from genuine, confident, world-transforming faith? God is not just a slightly better, slightly smarter version of you. He is infinite and glorious, and an encounter with him won’t just change the way you think about your faith. It will change your entire life.